Today I’ve made a Christmas card using plenty of Glimmermist. The collections used are From Grandma’s Attic and Silent Night. 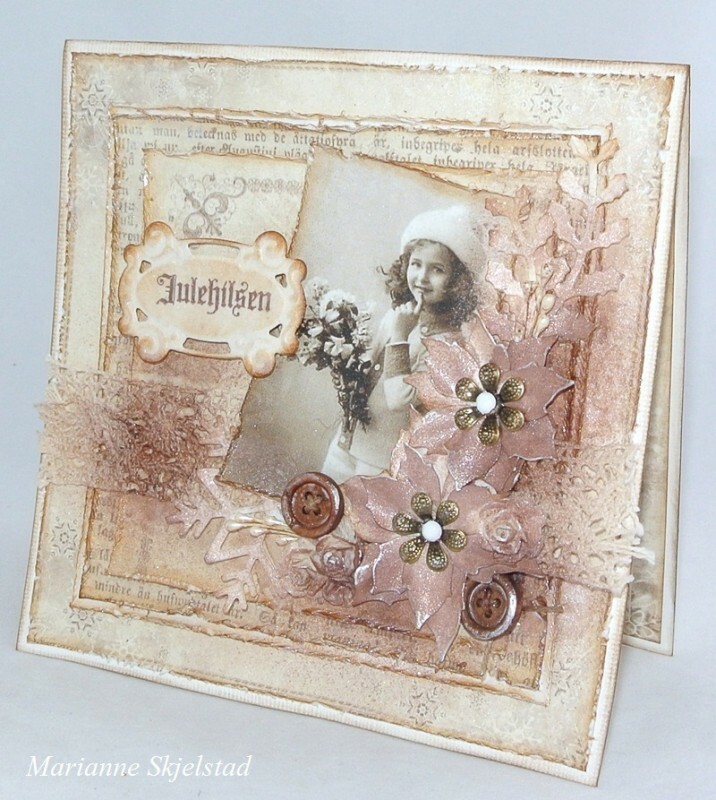 I’ve used Distress for the edges and decorated the card with flowers, snowflakes, buttons and laces. Finally I sprayed it with Glimmermist in different tones.